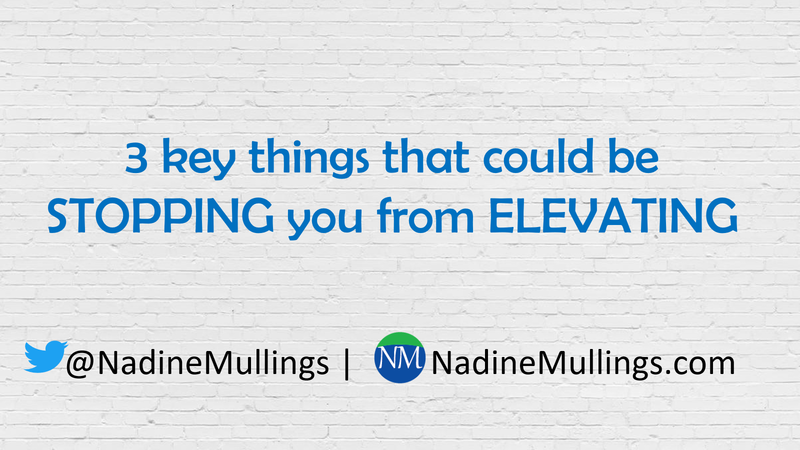 What’s stopping you from taking your business to the next level? 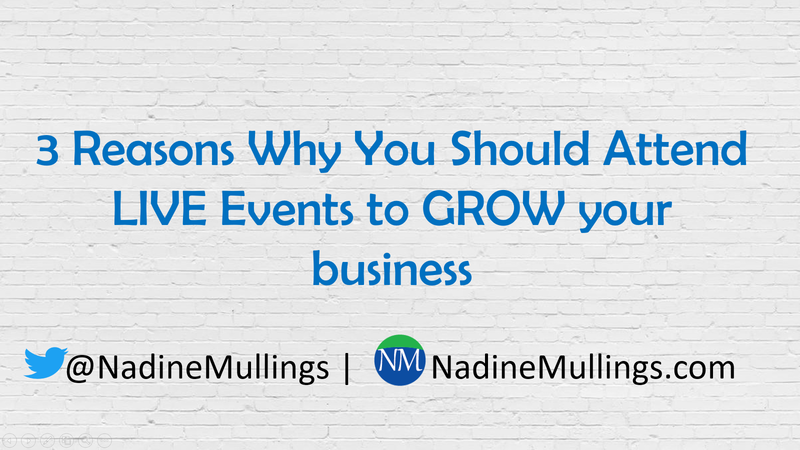 In order to ELEVATE and take your business to the next level, you must first be aware of what could be STOPPING you from growing. 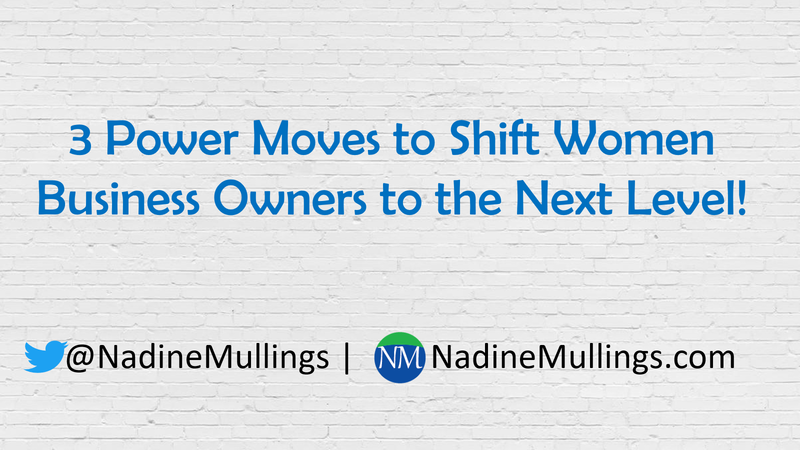 In this post, I will be sharing several key points from a recent webinar, Discover the Mind Shifting Method™ to ELEVATE your business! 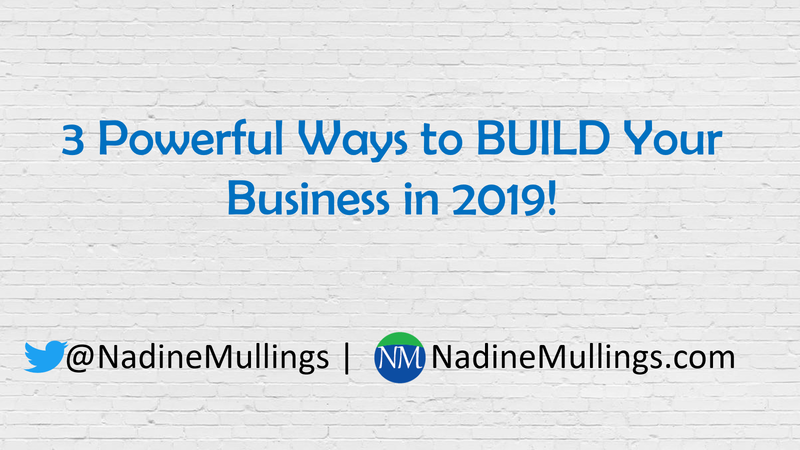 Watch the replay of the webinar, or read the post below to find out what could be stopping you! 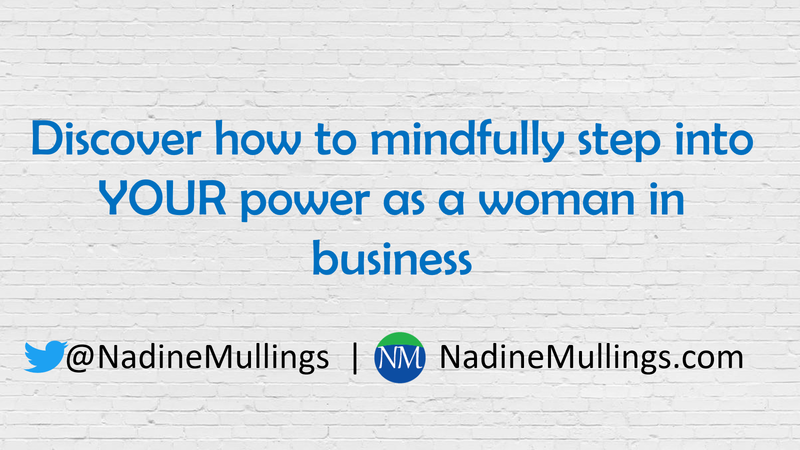 As a woman in business, you are POWERFUL, but it’s hard to be a powerful woman when you feel overwhelmed and burnt out. 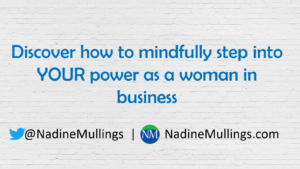 In this post discover how to mindfully step into YOUR power as a woman in business and learn some SIMPLE mindfulness techniques because success in business and in life all starts with SELF. Learn how you can connect with self in a deeper way. Astra Farquharson, Founder of Therapy Yoga and Mindfulness instructor, explains mindfulness and how it can help with any overwhelm or burn out you may be experiencing. 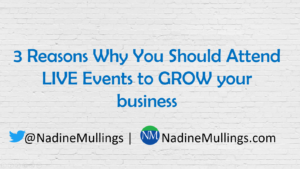 I have listened in on several webinars and tele-seminars over the last year or so, and I have noticed a trend with the format of each one. A lot of the webinars and tele-seminars are aimed at educating you on a particular topic or subject, so you willing sign-up to learn more about this topic or subject. Usually after about 30 minutes or so of good information, the speaker tells you that you can get more of this information by paying for a seminar, CD, book, program, etc. 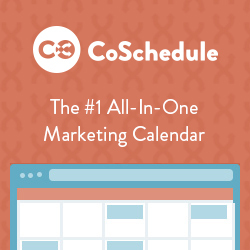 Depending on the cost of the particular item, the tactic usually works because you are already talking to an active audience who signed up to learn more about this specific subject, so they are obviously interested in the topic. When I think about the last two items that I purchased from a webinar, I feel there were five main things that enticed me to make a purchase, and as business owners, we should consider these factors when trying to sell a product or service based on an educational webinar or tele-seminar. VALUABLE INFORMATION– Did your webinar or tele-seminar provide valuable information? I define valuable information as information presented in a way that is DIFFERENT or NEW to most people. When people receive information and they never really thought of that topic in that way before, you are encouraging someone to look at things differently. This usually brings about an “Ah Ha!” moment, people love “Ah Ha” moments because it allows them to think differently and thinking differently can lead to different results. If the information presented is information you’ve heard already or presented in a way you have seen before, you would be less likely to buy into the information. Also, how the information is presented makes a difference. A professional format with visuals are key! When people not only hear what you have to say, but see it through the presentation slides or video, it makes a HUGE difference in the effectiveness of the presentation. PRICED RIGHT– The product or service offered at the end of the webinar or tele-seminar needs to be priced right. Now when I say priced right I don’t mean “cheap” or “inexpensive”, because if the participants believe in the value of information presented, they will pay the monetary equivalent as to what they feel it is valued to them. However, the product or service must be priced in a way that is affordable, but also expensive enough to show its value. For some reason most people are pricing their product or service ending with a “7” $97, $197, $297. I am sure there is some information out there that says that pricing ending with a 7 tends to work well, why so many people are pricing their products or services that way. ADDED INCENTIVES– I have purchased many items because of the added bonus that was included in the offer, so not only did I feel the information presented was valuable, but the bonus that they offered made it even more enticing to purchase the item, so think about adding a bonus course, a live seminar ticket, additional tips, etc. TIME SENSITIVE– Of course the offer of the product or service is usually only available for a LIMITED TIME, so this encourages a sense of urgency for individuals to make the purchase. It is human nature that if we know something is only available for a limited time we have to seriously consider whether we want to take advantage of the opportunity while we have the time. People who are serious about getting the information will be sure to make the purchase before the time period runs out. OFFERED SEVERAL TIMES– Some people require hearing or seeing an item more than three times before making a decision, so it helps to make the offer more than one time on the webinar or tele-seminar and even following up with a couple of e-mails regarding the offer. The last purchase that I made from a webinar was after I had signed-up for the webinar twice (I missed the first one and signed up several months later for the 2nd one), and received about six e-mails about the webinar and two follow-up e-mails about the offer, so technically it took about 8 contacts before I actually placed an order, so don’t neglect the power of following up. If educating consumers about a subject or topic is a part of your marketing strategy, then be sure to consider the techniques listed above as a part of your formula to successful covert educating prospects into paying customers of your product or service.